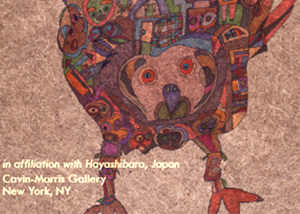 Hayashibara Co., Ltd. will hold the Hayashibara International Arts Festival 2013, “Rising Stars,” featuring the “Fukuro: Owl Drawings” exhibition between October 10 (Thursday) and November 9 (Saturday), 2013 under the joint sponsorship of the Cavin-Morris Gallery in New York. Hayashibara Co., Ltd. announced that a new effective and stable vaccine adjuvant formulation containing of TNF, a kind of cytokine, pre-encapsulated into nano-particles of pullulan derivatives, has been developed. Intranasal administration of the formulation significantly augmented antibody production of conventional influenza virus and protected mice against lethal influenza virus infection. The formulation would be very convenient because it eventually augmented vaccine effectiveness by nasal administration which has not been applied to the conventional vaccine. Hence, the nano-particle is expected to be a useful tool in the development of an advanced vaccine therapy against various pathogens as well as influenza virus. Hayashibara will present the results of this research at the 133rd Annual Meeting of the Pharmaceutical Society of Japan (March 27 - 30, at Pacifico Yokohama, Yokohama, Kanagawa Prefecture). 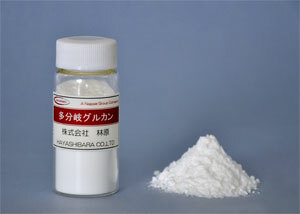 Hayashibara Co., Ltd. announced that highly branched glucan, a new functional carbohydrate material which is produced from starch by the use of proprietary enzymes, had an inhibitory effect on accumulation of fat in the liver and suppressed postprandial hypertriglyceridemia. Highly branched glucan is characterized by its unique structure with multiple branching compared to starch, and expected to be used for a wide range of food products. In addition, Hayashibara schedules to present the results of this research at the Annual Meeting of Japan Society for Bioscience, Biotechnology, and Agrochemistry 2013 (March 24 - 28, at Tohoku University, Sendai, Miyagi Prefecture). Discovery of the new fossil of dome-shaped and thick-headed dinosaur! Announcement of the conclusion of a sponsor's agreement with Nagase & Co., Ltd.